Tandoori dishes are a feast you will remember at Indigo! These dishes are delicious and made by our Indian chef to perfection. Tender lamb pieces marinated in yogurt and spices, charcoal grilled. Trozos de cordero marinado en yogurt y especias y cocinado al horno. Chicken breast pieces marinated and roasted in the tandoor. Pechuga de pollo marinada y asada en el horno tandoor. Marinated in yogurt and roasted in the tandoor. Polo marinado en yogurt y asado en el tandoor. Prawns gently spiced and roasted in the tandoor. Langostinos suavemente condimentados y asados en el tandoor. Mix of tikka, kebab and tandoori chicken served on a sizzler. Mezcla de tikka, pollo de kebab and tandoor servido en un sizzler (una fuente caliente y chisporroteante). For those new to Indian food, the classic Tikka dishes would be a great place to start. It gives your tastebuds everything that is India in one dish, perfectly balanced and spiced according to your wish. Chicken tikka in a rich creamy sauce. Pollo tikka en una rica y cremosa salsa de tomate. Chicken tikka in medium spicy tomato sauce. Pollo tikka en una salsa de especias medio picante. Chicken tikka cooked with peppers and onions in a medium sauce. Pollo tikka cocinado con pimientos y cebollas en una salsa medio picante. 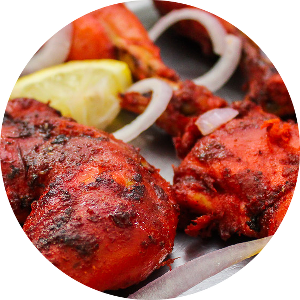 Chicken tikka pieces cooked in a special blend of hot spices. Trozos de pollo tikka cocinados con una mezcla especial de especias picantes. Chicken tikka cooked with a selection of spiced vegetables in a mild to medium sauce. Pollo tikka cocinado con una selección de verduras condimentadas y servido con una salsa entre suave y medio picante. Chicken tikka pieces cooked with red peppers in a medium hot sauce. Trozos de pollo tikka cocinados en una salsa medio picante con pimiento rojo. 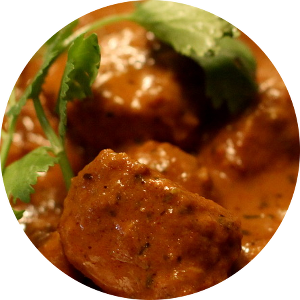 Lamb tikka in rich, medium spicy tomato sauce. Cordero tikka cocido en una rica salsa de tomate medio picane. Chicken is one of the most popular ingredients in our Indian dishes and we’ve perfected over twenty dishes for you at Indigo. Chicken cooked in hot, spicy sauce. Chicken cooked with potatoes in very hot sauce. Pollo con patatas en salsa curry muy picante. Chicken cooked in very, very hot sauce. Chicken en salsa curry muy muy picante. Chicken cooked in a medium spiced curry sauce. Pollo en salsa curry medio picante. Chicken cooked with ginger, garlic, tomatoes, onion, peppers spices served with fresh coriander. Pollo con jengibre, ajo, tomate, cebolla, pimiento y especias servido con cilantro fresco. 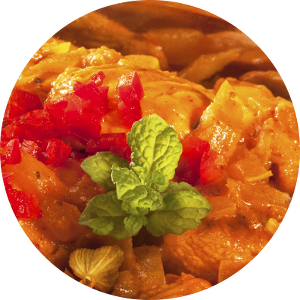 Diced chicken sauteed with tomatoes, green peppers,onion, coriander and spices. Pollo refrito con tomate, pimientos verdes, cebolla, cilantro y especias. Chicken cooked with lentils in medium curry sauce. Pollo con lentejas en salsa curry medio picante. Chicken in a medium spice sauce with tomato, onion and fresh lemon. Pollo cocinado con tomate, cebolla y limón fresco en salsa medio picante. Chicken cooked with spinach and a touch of cream curry sauce. Pollo con espinacas y un toque de cremosa salsa de curry. Chicken cooked in a mild and aromatic cream and almond sauce with pineapple and coconut butter. Pollo en una suave y aromática salsa con almendras, pina y manteca de coco. Chicken cooked in medium hot sauce with fresh mushrooms, ginger, garlic and Indian spices. Pollo con champiñones, ajo, jengibre y especias hindúes en salsa medio picante. Diced chicken sauteed with onions and tomatoes in rich onion gravy. Dados de pollo salteados con cebollas y tomates en una rica salsa de cebolla. Chicken cooked with vegetables in a medium hot curry sauce. Pollo cocinado con verduras en una salsa curry medio picante. Chicken cooked with fresh tomatoes, onions and spices. Pollo con tomates frescos, cebolla y especias. Chicken cooked with almonds, cashews and cream. Very, very mild. Pollo cocinado con almendras, anacardos y nata. Muy, muy suave. Chicken cooked in a special sauce with cream, almonds, egg, herbs and spices, very mild. Pollo en una salsa especial con nata, almendras, huevo, hierbas y especias. Muy suave. Chicken in a creamy buttery sauce. Very mild. Pollo en una cremosa salsa de mantequilla. Muy, muy suave. A mild chicken dish cooked with cream and mango pulp. Un suave plato de pollo cocinado con nata y pulpa de mango. Chicken cooked with mushroom, peppers, green peas, chickpeas ginger, and garlic herbs in special gravy sauce. Pollo con champiñones, pimientos, guisantes, garbanzos, ajos, jenjibre con salsa de curry. Chicken cooked with special pickle and mustard seeds, hot and sour gravy. Pollo cocinado en un adobo especial y semillas de mostaza, salsa agripicante. Chicken marinated with yogurt, boiled eggs, fresh tomato and Indian spices. Pollo adobado en yogur, huevo duro, tomate fresco y especias hindúes. Chicken marinated with gram flour, eggs, peppers, garlic, onion, green chili. Pollo adobado con harina garbanzos, huevos, pimientos, ajo, cebolla y chile verde. 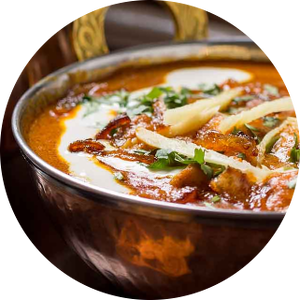 Lamb is used in the western world of Indian cuisines and our chef from India makes sure it is properly juiced up in Indian sauces and spices for you. Lamb cooked in hot, spicy sauce. Lamb en salsa curry picante. Diced lamb cooked with potatoes in very hot sauce. Cordero con patatas en salsa curry muy picante. Diced Lamb cooked in very, very hot sauce. Lamb cooked in a medium spiced curry sauce. Cordero en salsa curry medio picante. Lamb cooked with ginger, garlic, tomatoes, onion, peppers spices served with fresh coriander. Cordero con jengibre, ajo, tomate, cebolla, pimiento y especias servido con cilantro fresco. Lamb sauteed with tomatoes, green peppers,onion, coriander and spices. Cordero refrito con tomate, pimientos verdes, cebolla, cilantro y especias. Lamb cooked with lentils in medium curry sauce. Cordero con lentejas en salsa curry medio picante. Lamb in a medium spice sauce with tomato, onion and fresh lemon. Cordero cocinado con tomate, cebolla y limón fresco en salsa medio picante. Lamb cooked with spinach and a touch of cream curry sauce. Cordero con espinacas y un toque de cremosa salsa de curry. Lamb cooked in a mild and aromatic cream and almond sauce with pineapple and coconut butter. Cordero en una suave y aromática salsa con almendras, pina y manteca de coco. Lamb cooked in medium hot sauce with fresh mushrooms, ginger, garlic and Indian spices. Cordero con champiñones, ajo, jengibre y especias hindúes en salsa medio picante. Lamb sauteed with onions and tomatoes in rich onion gravy. Cordero salteados con cebollas y tomates en una rica salsa de cebolla. Lamb cooked with vegetables in a medium hot curry sauce. Cordero cocinado con verduras en una salsa curry medio picante. Lamb cooked with fresh tomatoes, onions and spices. Cordero con tomates frescos, cebolla y especias. Lamb cooked with almonds, cashews and cream. Very, very mild. Cordero cocinado con almendras, anacardos y nata. Muy, muy suave. Lamb cooked in a special sauce with cream, almonds, egg, herbs and spices, very mild. Cordero en una salsa especial con nata, almendras, huevo, hierbas y especias. Muy suave. Marinated in garlic sauce with subtle flavor of ginger and green peppers. Cordero marinado en salsa de ajo con un ligero sabor de jengibre y pimientos verdes. Lamb with fresh tomatoes, onion and red pepper in a medium sauce. Cordero con tomate fresco, cebolla i pimiento rojo en una salsa medio picante. Diced lamb and minced lamb sautéed with green peas, with special sauce. Cordero troceado y picado, salteado con guisantes y una salsa especial. 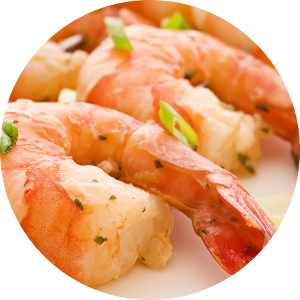 Prawns are an excellent choice for seafood lovers, with our spices you’ll get an enjoyable meal with us. Prawns cooked in hot, spicy sauce. Langostinos en salsa curry picante. Prawns cooked with potatoes in very hot sauce. Langostinos con patatas en salsa curry muy picante. Prawns cooked in very, very hot sauce. Langostinos en salsa curry muy muy picante. Prawns cooked in a medium spiced curry sauce. Langostinos en salsa curry medio picante. Prawns cooked with ginger, garlic, tomatoes, onion, peppers spices served with fresh coriander. Langostinos con jengibre, ajo, tomate, cebolla, pimiento y especias servido con cilantro fresco. Prawns sauteed with tomatoes, green peppers,onion, coriander and spices. Langostinos refrito con tomate, pimientos verdes, cebolla, cilantro y especias. 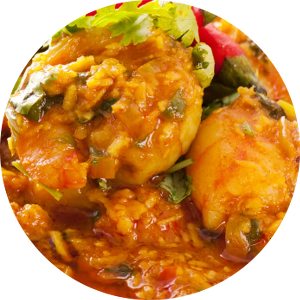 Prawns cooked with lentils in medium curry sauce. Langostinos con lentejas en salsa curry medio picante. Prawns in a medium spice sauce with tomato, onion and fresh lemon. Langostinos cocinado con tomate, cebolla y limón fresco en salsa medio picante. Prawns cooked with spinach and a touch of cream curry sauce. Langostinos con espinacas y un toque de cremosa salsa de curry. Prawns cooked in a mild and aromatic cream and almond sauce with pineapple and coconut butter. Langostinos en una suave y aromática salsa con almendras, pina y manteca de coco. Prawns marinated in spices and creamy sauce. Mild to medium. Langostinos marinados en especias y una cremosa salsa entre suave y medio picante. Prawns in a rich spicy tomato sauce with fresh ginger and garlic. Langostinos en una rica y picante salsa de tomate con jengibre y ajo. Vegetarian dishes are highly recommended, they are filled with so much taste and rich flavors that we guarantee you’ll consider choosing one for your next visit with us as well! Assorted vegetables in aromatic almond, pineapple and coconut sauce with raisins and cream. Verduras variadas en una aromática salsa de almendras, pina y coco con pasas y nata. Vegetables in a medium spiced sauce. Verduras en salsa medio picante. Home made cottage cheese cooked with ginger, garlic, tomatoes, onion, peppers, and spices with fresh coriander. Queso fresco con jengibre, ajo, cebolla, tomate, cebolla, pimiento y especias con cilandro fresco. Potato and cauliflower cooked in a spicy sauce. Patatasy coliflor en salsa medio picante. 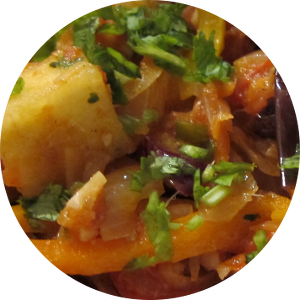 Diced potatoes and onion in a spicy sauce. Dados de patatas y cebolla en salsa medio picante. Chickpeas cooked with special spices from India. Garbanzos con especias selectas de India. Mixture of Indian lentils cooked with spices. Lantejas hindúes cocinadas con especias. Home made cottage cheese cooked in a spicy tomato sauce with touch of cream. Queso fresco casero en salsa de tomate con un toque de nata. Homemade cottage cheese with vegetables in hot and sweet sauce. Queso fresco casero con verduras en una salsa picante y dulce. Mushroom with onions, tomatoes and spices. Champiñones con cebollas, tomate y especias. Homemade cheese and green peas in a creamy curry sauce. Queso fresco casero y guisantes en una cremosa salsa de curry. If you are up for a modern version of Indian food, a Balti dish will serve you well. Delicious! Chicken Balti. Balti dishes are cooked in special pan called Balti, with selected herbs, spices accompanied with plain naan. Pollo Balti. Servidos en una sartén especial llamada Balti, con hierbas selectas, especias y acompañados de pan hindú. Lamb Balti. Balti dishes are cooked in special pan called Balti, with selected herbs, spices accompanied with plain naan. Cordero Balti. Servidos en una sartén especial llamada Balti, con hierbas selectas, especias y acompañados de pan hindú. Prawns Balti. Balti dishes are cooked in special pan called Balti, with selected herbs, spices accompanied with plain naan. Langostinos Balti. Servidos en una sartén especial llamada Balti, con hierbas selectas, especias y acompañados de pan hindú. Vegetable Balti. Balti dishes are cooked in special pan called Balti, with selected herbs, spices accompanied with plain naan. Verduras Balti. Servidos en una sartén especial llamada Balti, con hierbas selectas, especias y acompañados de pan hindú. 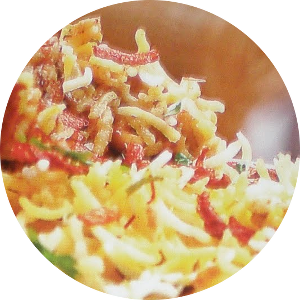 A dish so unique and different in the places of the world, we’d love for you to try one of our Biryani dishes at Indigo. Chicken Biryani. All Biryani dishes are served with rice and currysauce. Pollo Biryani. Todos los platos Biryani seirven con arroz y salsa curry. Lamb Biryani. All Biryani dishes are served with rice and currysauce. Cordero Biryani. Todos los platos Biryani seirven con arroz y salsa curry. Prawn Biryani. All Biryani dishes are served with rice and currysauce. Gambas Biryani. Todos los platos Biryani seirven con arroz y salsa curry. Vegetable Biryani. All Biryani dishes are served with rice and currysauce. Verduras Biryani. Todos los platos Biryani seirven con arroz y salsa curry. Cooked with chicken, lamb, prawns and vegetables. All Biryani dishes are served with rice and currysauce. Con pollo, cordero, gambas y verduras. Todos los platos Biryani seirven con arroz y salsa curry.